How do I view different years on my Schedule? Your Harpoon Schedule displays projects and revenue one year at a time. 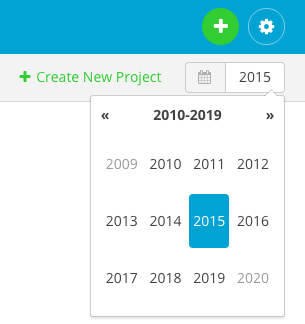 If you’d like to view a different year use the Year selector in the top right corner of your Schedule screen. To learn more about the Schedule and other related topics view the Schedule support articles. How do I reorder the widgets on my Dashboard? How do I set up late payment reminders? How do I customize the emails that are sent to my clients? How do I customize my invoice settings?